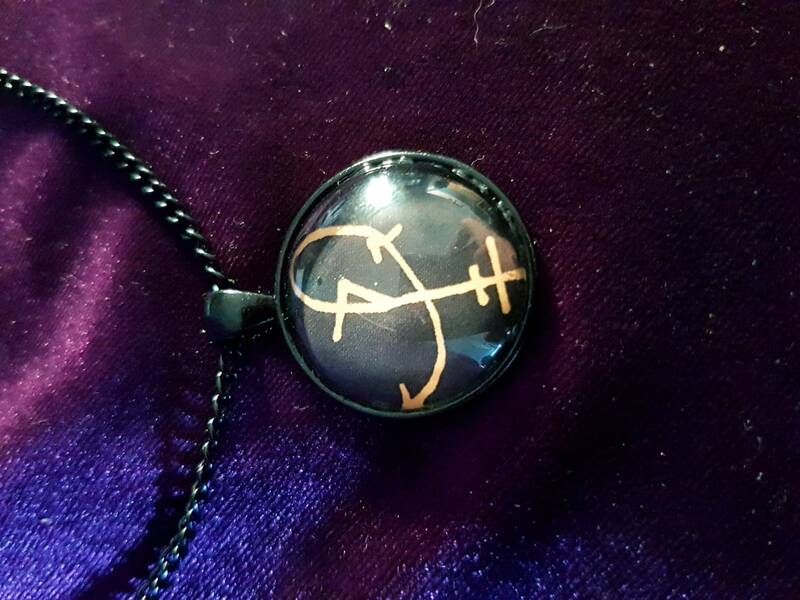 Dukanté Sigil of Satan Necklace. 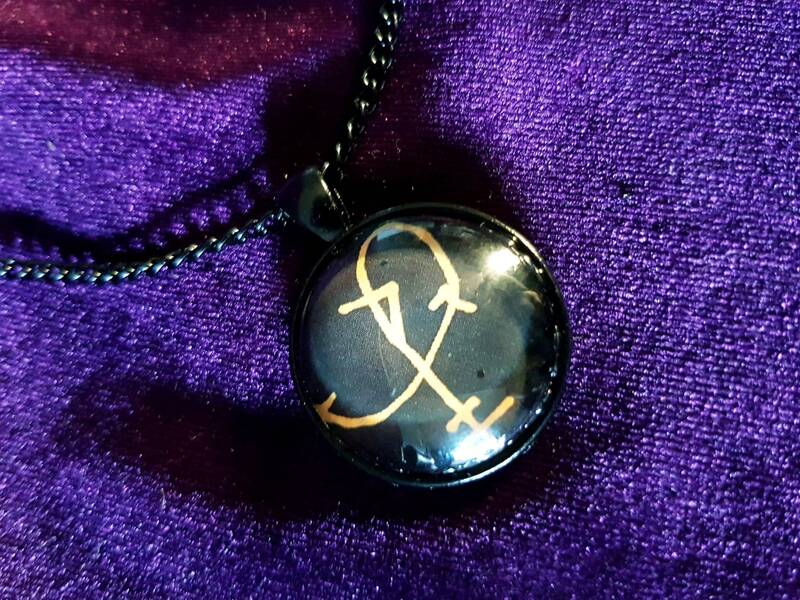 - Dome shaped pendant, goldish symbols on a black background. Attributes: Father of all Demons, Emperor of the Demons and the Head Commander of the Demonic Army. A powerful and incredible warrior, fatherly and caring, one who offers wisdom and sound advice. 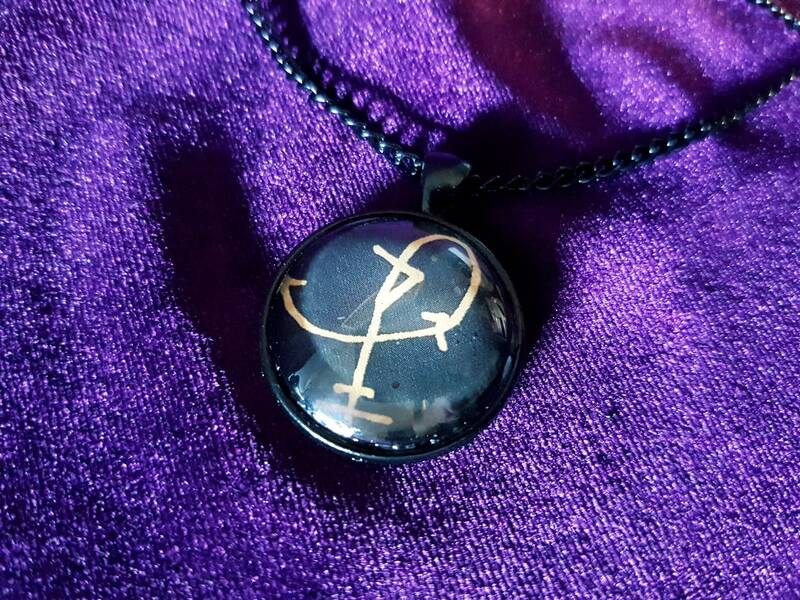 Lord Satan cares for those under him and guides them home.